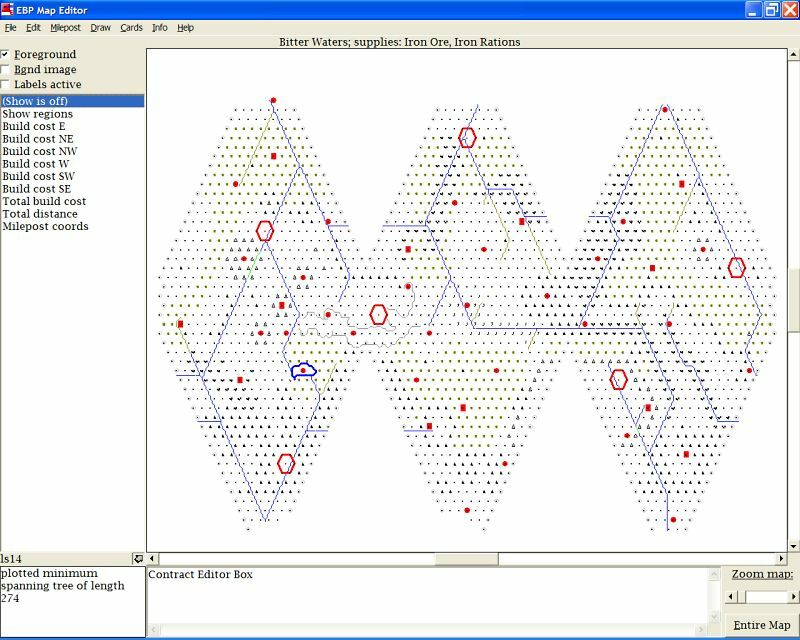 Create a playable, fun map in as little as one hour! Download from below (scroll down). 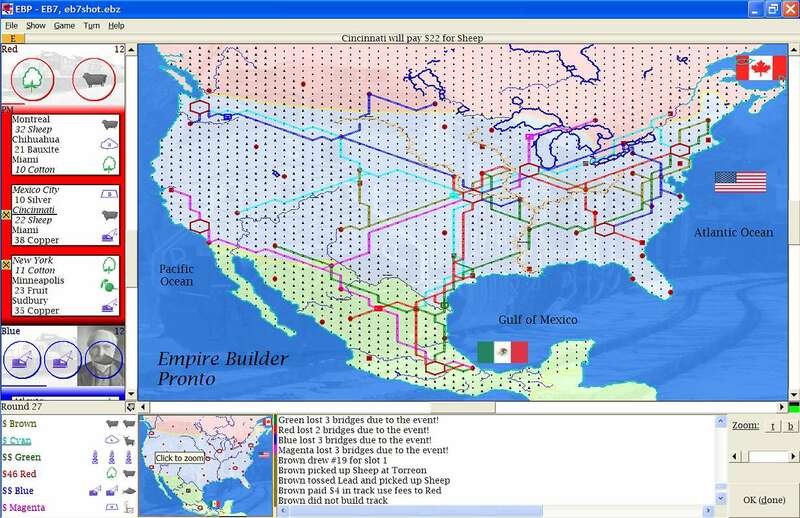 Create your own Empire Builder® game maps! There's no need to create the whole game, you simply name your cities, terrain, loads, contracts and events! It's just point and click to edit the map. Then enter contract demands, or ask the editor to automatically generate good ones that you can tweak if desired. You can try EBPEdit at no charge for 30 days. Continued use of the program beyond the trial period requires registration ($20). EASY INSTALL Experienced computer users can simply unzip the download file into the subdirectory containing EBP or into a new subdirectory, and run EBPEdit.EXE. Or, see the detailed install instructions. After installing, to run the program, click on the program's icon on your desktop, or find EBPEdit in the Windows list of "All Programs". For other basic information, view the README-E.TXT file. 2) run the downloaded copy of VBRUN60.EXE and answer Yes when asked "Would you like to install the Visual Basic 6.0 run time files?" 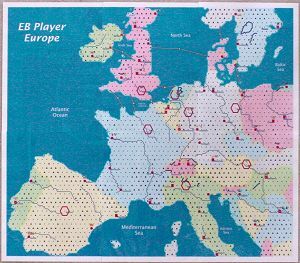 Empire Builder is a registered trademark of Mayfair Games, and used here under license. 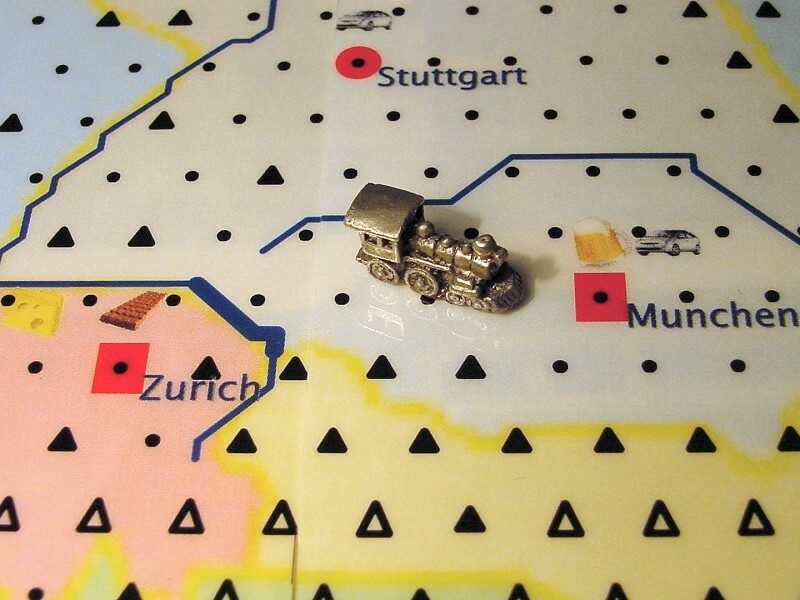 The software and alternate maps described here are not products of Mayfair Games. 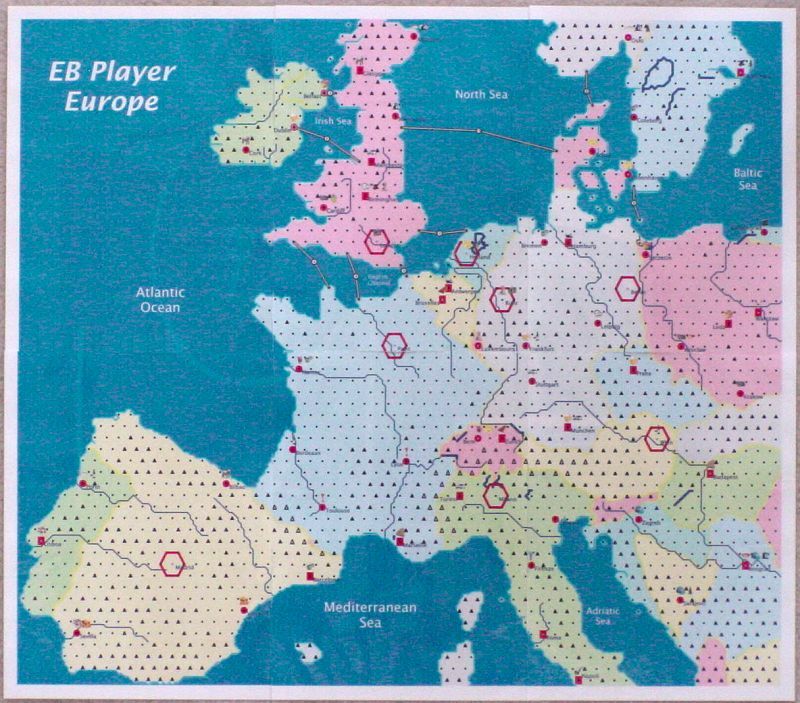 EB Pronto, EBP, EBPEdit, ebXXX map name and the EBP logo are trademarks of Intersystem Concepts, Inc. Questions? Problems? Just e-mail us.